Even though “peace-building” has been a primordial stated goal of the United Nations system, environmental treaties under its auspices have stayed clear of attempts to link agreements to conflict resolution. The Convention on Biological Diversity (CBD) is a notable exception insofar that the “programmes of work” in several areas of the convention mention transboundary cooperation and peace-building. However, these themes are often relegated to platitudes with little action because of a paradoxical fear that peace-building will politicize and hinder progress on the agreements. It is high time that negotiators overcome this visceral reluctance to link ecology and peace-building. Ecological regions defy political delineations and thus any efforts to impose physical boundaries in such areas invariably have an impact on natural processes. Consider the impact of border fencing and patrolling along the US–Mexico border, which is expected to affect 60 to 70% of wildlife refuges along the Rio Grande Valley. As new forms of regional governance evolve, such as the European Union or various regional cooperation associations, there is greater potential for managing ecosystems beyond political boundaries. However, there is no organized mechanism that lays out clear guidelines and protocols on codes of behavior in such areas within international law. In particular, since border areas are often militarized, there is very little control that can be exercised by environmental mangers without the mandate from the security forces. It is important to note that the Conference of the Parties to the CBD have acknowledged the importance of transboundary conservation at two levels. Firstly through the protected areas initiatives and the ecosystem approach initiative, and secondly through the protected areas program of work. Unfortunately, there has been no evaluation carried out by the CBD secretariat about the implementation of these efforts by the parties in any tangible way. 2. Providing a mechanism for joint environmental and security management regimes that have international support through the CBD secretariat and can be a conduit for donor support specifically targeted in this context. 3. Enabling a monitoring system for environmental indicators in these border regions that would have the support of signatories on a continuing international basis (and not just dependent on a particular national regime). 4. Providing border communities access to natural resources in order to facilitate sustainable livelihoods and cross-border social cooperation and engagement. Furthermore, the CBD should recognize the unique role it can play in urging parties to consider how environmental factors can build peace in conflict zones. This can be done by prioritizing project implementation in areas where there has been historic conflict for conservation activities and perhaps even developing a protocol on transboundary conservation within the CBD. Biodiversity conservation played a pivotal role in the resolution of a century old violent conflict between Ecuador and Peru in the Cordillera del Condor Region. The peace agreement signed in 1998 was strengthened by the involvement of international organizations such as the International Tropical Timber Organization (ITTO), which is headquartered in Yokohama, Japan. As the host country for the conference and as a major donor to transboundary conservation projects, Japan should also lead the way in facilitating the role of conservation in conflict resolution. Even within its own region there are disputes over territory such as the Kuril Islands (held by Russia) that might be suitable to such an instrumental use of conservation in conflict resolution. 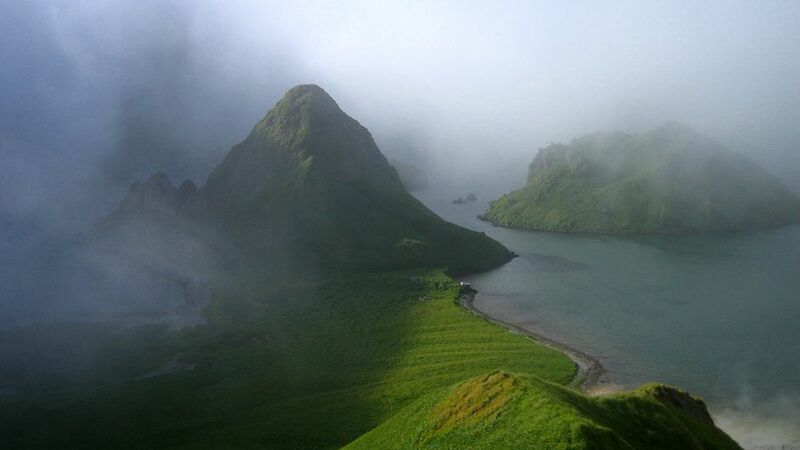 In fact, at least one co-operative biodiversity project has taken place between Russian and Japanese partners in relation to the Kuril Islands. From 1991–2002 and in partnership with the University of Washington, scientists worked together to survey the island chain’s biota. Biodiversity is a planetary resource and deserves an ecoregional approach to management. While there should be respect for principles of territorial sovereignty, parties to the convention should also appreciate the transcendence of the environment in matters of politics. Natural resources shall always remain the ultimate limiting factors for war and peace and should thus play a pivotal role in conflict resolution. Building biotic peace at COP10, Nagoya by Saleem Ali is licensed under a Creative Commons Attribution-NoDerivs 3.0 Unported License. Saleem H. Ali is Director of the Centre for Social Responsibility in Mining at the University of Queensland, Australia, and the author of “Treasures of the Earth: Need, Greed and a Sustainable Future”. Thank you. I live in Missoula, MT and the cooperation between the state of Montana, the U.S. government at the federal level and Canada is an important issue within what is called here the ‘Crown of the Continent’ ecosystem, spanning Glacier National Park in the U.S. and Waterton National Park in Canada. A non-profit called Yellowstone to Yukon has also looked at large scale connectivity concerns across the national boundary. I appreciate your bringing these concerns into greater focus. As far I know, Marianne, the USA still isn’t a Party to this Convention. (It shares this distinction with Andorra, the Holy See and the Former Yugoslav Republic of Macedonia – http://www.cbd.int/convention/parties/list/). Sad, really. Saleem: This is right on target, thanks for doing this. I have just finished making suggestions for a short (and hurriedly assembled) bulletin for Nagoya from IUCN, and added material on transboundary PAs, as well as World Heritage, since both are important devices in effective conservation of Biodiversity. I understand they will probably not be included due to length constraints. So, initiatives like yours are important. Thank you for bringing this to my attention. Your writing, here, and in your books gives me an idea for our conservation work in Central America. Peace and poverty are huge issues facing conservation programs and your perceptions might give us some ideas of where we might be headed in Honduras and northern Guatemala. I wonder if you could direct me to where I might learn more, and also how to integrate the interested parties into a comprehensive plan that involves fundraising? I am seeking a way to start sea /shore/river/water environment refurbishing business by creating biological diversity environment locally. I am just wondering if there is the opportunity for us to create the links with other people. I just assume there are some kind of business shows there,too? I hope to find some area in need like the Gulf due to oil spills to help with our technology to retrieve the environment. Our techs take 2 years to stabilize plant plancton activities. I hope COP10 is a success and an incubation for small groups like us.